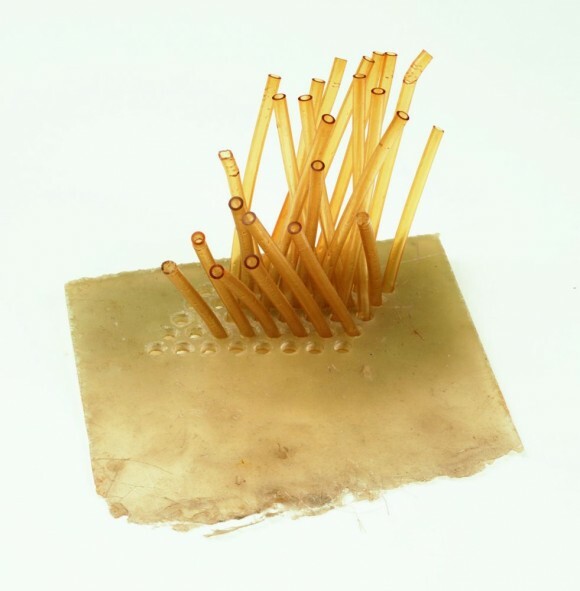 Eva Hesse (1936-1970) was a German-American sculptor known for working with unconventional materials like wax, cheesecloth, fibreglass, and latex. 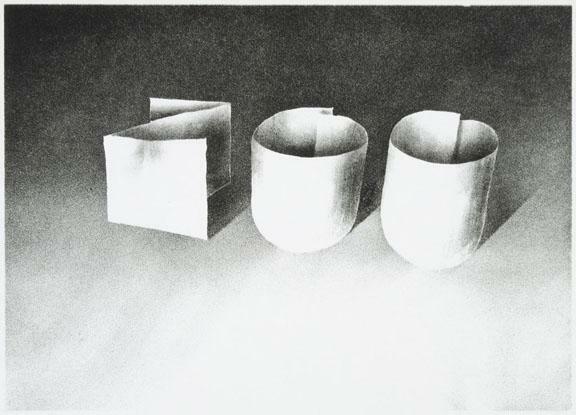 I saw her work in an exhibition of her Studiowork (test pieces) at the Camden Arts Centre in 2010. I remember her sculptures as very unusual, beautiful, and organic. Forms, textures, and colours which evoke parts of the body. There was a table layed out with little papier mache shapes that seemed to float on the surface, very delicate. I did a quick sketch when I got home. Her interest in these materials started when she was using a disused factory in Germany as a makeshift studio and she became inspired by the commercial materials she saw lying around, excited by their sculptural possibilities. Sadly, she died at just 34 from a brain tumour.